(The Star)- Four soldiers have been arrested in Somalia after a nine-year-old schoolgirl was shot dead in the capital, Mogadishu, police say. 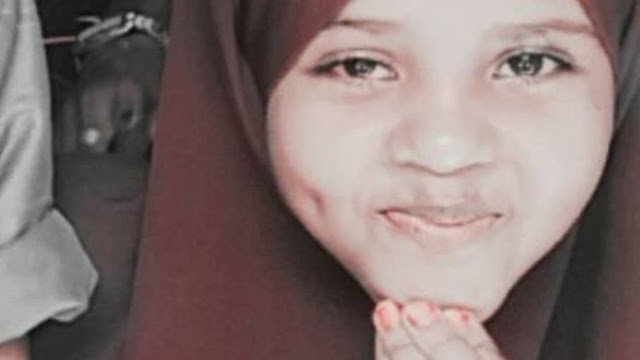 Deqa Dahir died and another girl was wounded when bullets hit their school bus while it was stuck in a traffic jam, Amnesty International said. Soldiers opened fire in an apparent attempt to clear the road for their vehicle, the rights group added. Somalia's president met Dahir's family as public anger over the shooting grew. The nine-year-old was buried on Thursday, two days after she was killed. She was a first-year school pupil, and was returning home happily, eating ice cream, when she was killed by what appeared to be a stray bullet, reports the BBC's Ahmed Adan from Mogadishu. She was shot in the head and died instantly. Her mother, Safiya Mohamed Hooshow, demanded justice from the government of President Mohamed Abdullahi Mohamed. "I demand from the government to bring the murderer in front of me," she told BBC Somali. Her father Dahir Moalim Ali Farah told Amnesty: "It was shocking to see the dead body of my daughter." "My 11-year old son, who was also in the bus with Deqa, came home crying and shouting and told us that she had been shot dead. I ran to the scene of the incident, where I was told the body of my daughter was taken to Masaarida hospital," he said. How common are such cases? In another incident, the driver of an auto-rickshaw taxi was hit by a stray bullet fired by a soldier on Monday. Militant Islamists often detonate explosives in Mogadishu, targeting people caught in traffic, Ahmed Adan adds. It is therefore common to see soldiers shooting near civilians as they try to keep traffic moving. Police chief Bashir Abdi Mohamed has promised to prosecute anyone who shoots randomly. "We won't allow civilians to be killed by a gun which is supposed to defend them. Killing people and running away has ended. We will arrest them and bring them into justice straight away," he told the BBC. Somalia has been without an effective central government since the fall of the Siad Barre regime in 1991. The country has been hit by numerous conflicts since then, involving rival clans, militias and militant Islamists. The government is facing its biggest threat from al-Shabab, a group linked to al-Qaeda. It has carried out a wave of bomb and gun attacks in an attempt to overthrow the government.